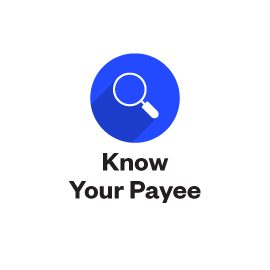 To provide all Australian organisations with access to correct, verified and up-to-date information on their payees through our 'Know Your Payee™' (KYP) technology. We are dedicated to protecting companies against fraud and error made through incorrted, fraudulently changed or maliciously altered payee information. We aim to ensure that every Vendor Master File of every company is error free and organisations better meet their compliance requirements and streamline their on-boarding of supplier information. To facilitate the creation of a network of businesses working together as a community by leveraging the power of the crowd to increase the trust and confidence in the Payee data we all use. Through our crowdsourced database, EFTsure is on a mission to verify the payment details of every business in Australia.